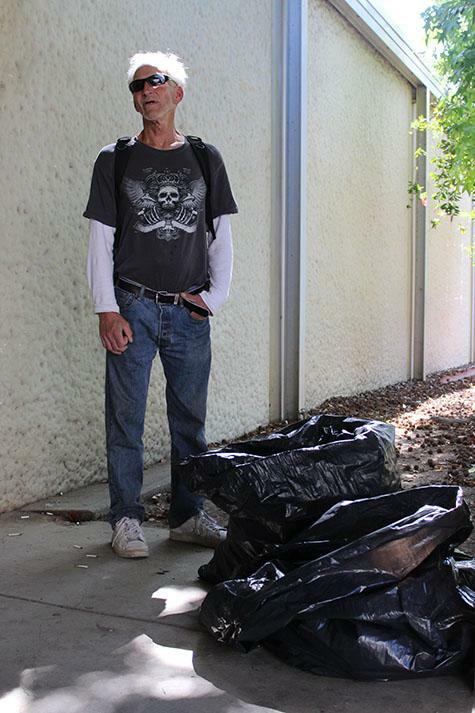 As he carries around a white, plastic Hefty bag in the hot afternoon, Bill Cheely said people don’t look at him the same anymore. 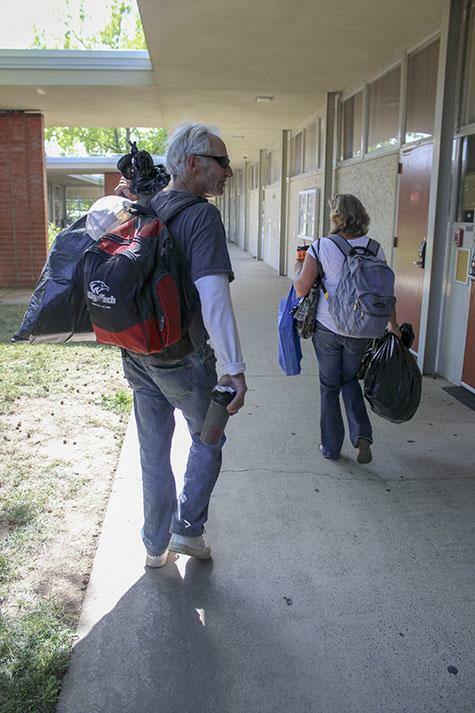 Bill and his wife, Denise, have been together since 1984 and attended American River College in the 1980s. But a series of events that led to them losing their jobs, home and possessions brought the Cheelys back. Denise, 49, said she worked as a yard duty at an elementary school and then at a Dollar Plus. Then the recession hit. “The store went out of business,” said Denise. “I got put on unemployment. When I started looking for other avenues, the unemployment ran out. We’re not in the statistics anymore. Bill and Denise lived in a trailer park. But when Denise lost her job, they said they had trouble keeping up with the payments to the owner. “He said ‘you’ve been late twice this year and you have to vacate the space,’” said Bill, 59. Their trailer had to be sold to pay their debts. With no jobs, no home, parents deceased, and children out of town and out of the state, the Cheelys took residence under a bridge. Bill said that sometimes the church they sleep near calls or threatens to call the police on them. With no stable source of income, the Cheelys spend “a couple hours a day” rummaging through the garbage cans on campus looking for plastic and aluminum. Bill said that on a good day, they can get up to $20 if they turn in their recyclables. “I don’t want to be an interruption,” said Denise. Denise wants to go back to work and is taking classes at ARC in hopes of earning a degree in Early Childhood Education. She said her classes are paid for by the Board of Governors fee waiver, but that she is ineligible for financial aid because she was on academic dismissal due to her grades when she attended ARC in the 1980s. Bill is also taking classes at ARC. 1 Comment on "Homeless couple returns to ARC to take classes and collect recyclables"
There they are, two typical AR alumni! Thanks for the heads-up.